Maybe your favourite couple is celebrating a winter anniversary or wedding, or you simply want to show them how much you care. 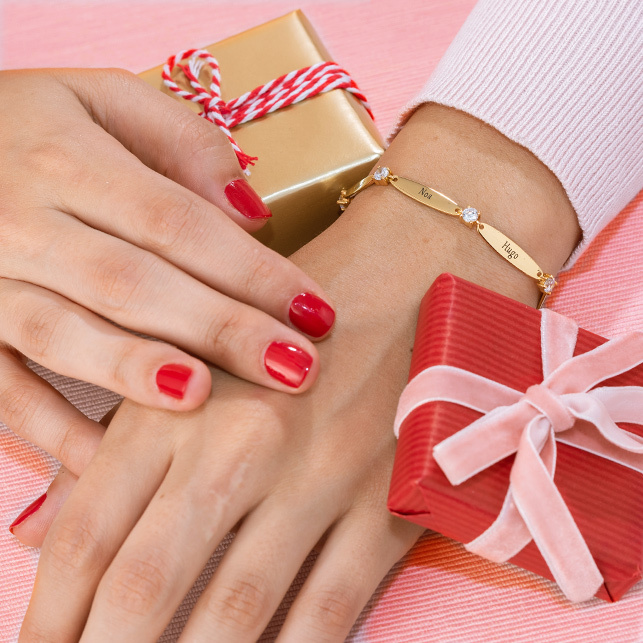 You’ll find that our list of couples jewellery gift ideas for Christmas offers something for everyone, and saves you time shopping, too. Just about everyone loves edibles, especially when they’re thoughtfully prepared and beautifully packaged. A picnic basket packet with gourmet goodies and a nice bottle of wine might be just the thing! While edibles are nice, they don’t last long! Our favourite couples gift ideas for Christmas are equally unique, and they’ll be cherished for years to come. 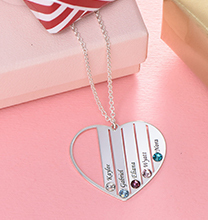 For something completely different, take a look at our couples necklaces, which come in a variety of configurations including the ever-popular breakable heart design, which features one half for each partner. Engraved puzzle piece, “key to my heart” and Yin Yang styles are equally popular but offer a more contemporary appearance. You’ll be amazed at what you find in this unique collection! Couple jewellery sets have come a long way since they were first introduced, so there’s something for everyone. Unique shapes like hearts and clover, beautiful finishes ranging from long-lasting sterling silver, rose gold, and 18k gold, and contemporary designs such as interlocking rings necklaces are just a few things that make this collection stand out from the rest. 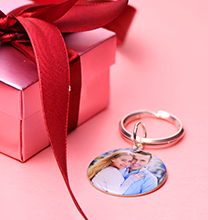 Even his & her keychains make fun gifts for that couple that’s a little hard to shop for. Variety is the spice of life, and unique couple gifts like these are certain to be appreciated for their style, inimitable design, and wonderful thoughtfulness. 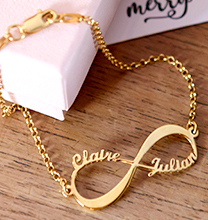 Contemporary initial necklaces, bracelets and rings come in an array of styles, including breakable hearts with just a single initial engraved on their fronts. These are just a little more mysterious than name necklaces, and they are endearingly romantic! 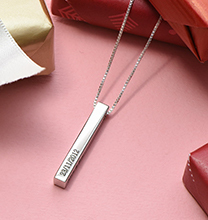 Custom engraved necklaces for women and men are among out top couples gift ideas for Christmas, especially since they can be personalised to a high degree. You can choose from a variety of styles that fit together or match one another, or you can select from unique options including personalised karma necklaces. Be creative with your choice if you like! The more personality your gift shows, the more the recipients will enjoy it. Last but not least, consider styles with monograms. Once, the rules for personalising jewellery this way were hard and fast. Not anymore! 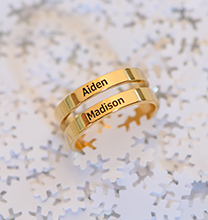 You’ll find more inspiration for couples gift ideas for Christmas, as well as new monogram ideas here. Custom artwork celebrating the couple’s life together makes a wonderful, personalised gift, especially for newlyweds. There are a variety of standard designs available from different companies, and of course, you can always take the extraordinary step of hiring a local artist to create a truly custom piece of artwork.